Gong Xi Fa Cai and Happy Chinese New Year, everyone! Today is the second day of The Tiger Year and I hope you all are having a great time! 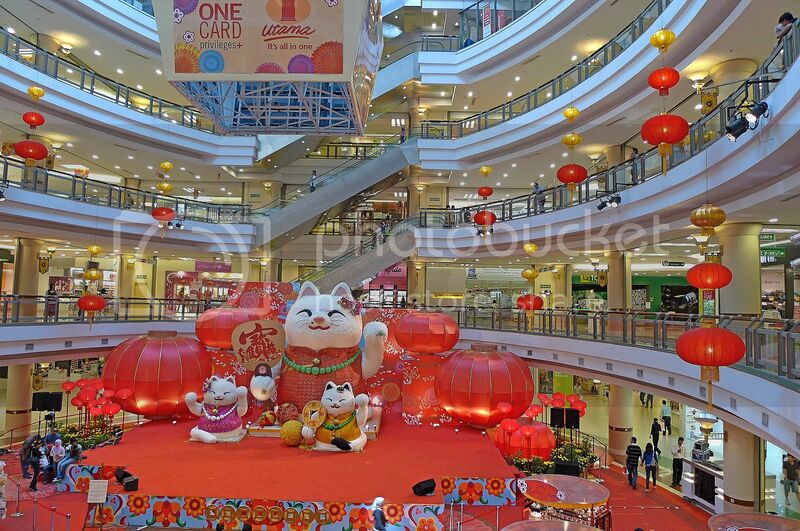 Last week, I went to six shopping malls in Petaling Jaya and Kuala Lumpur for a photo-taking marathon of the Chinese New Year decorations. I would like to share some of the photos here today. They have giant cats instead of tigers! I thought it's the Year of The Tiger! Well, I guess tigers are cats too, haha! What are these cats called? Prosperity cats or something? You can usually see them in front of shops waving at customers to enter. I notice they always wave with the left hand. Anyone knows why? I usually wave with my right hand as I am a righthander, haha! Do you notice the moles on the cats' faces? What do these moles signify? Anyone knows? Please share your knowledge with us, thank you! Next, it's Mid Valley Megamall. 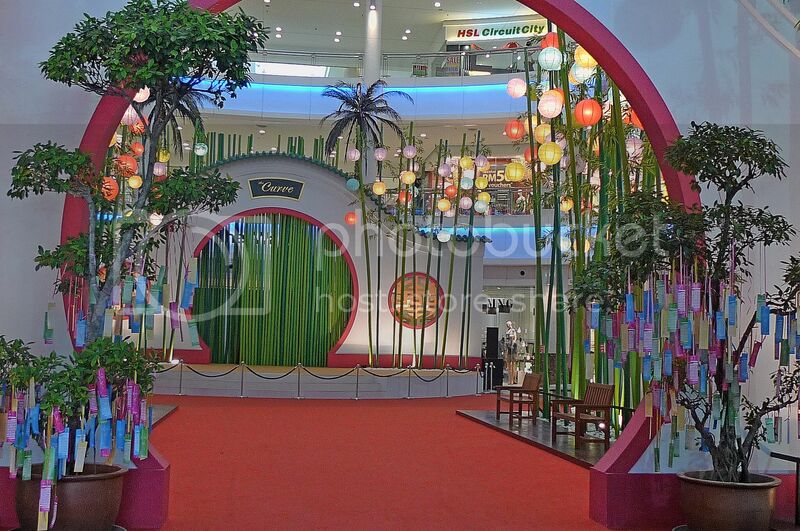 I have to admit I didn't quite like Mid Valley's decoration this time. What do you think? I did not like the many wires criss crossing above the pagoda and the flowers to hang those dragonflies - they just spoilt the whole scene! 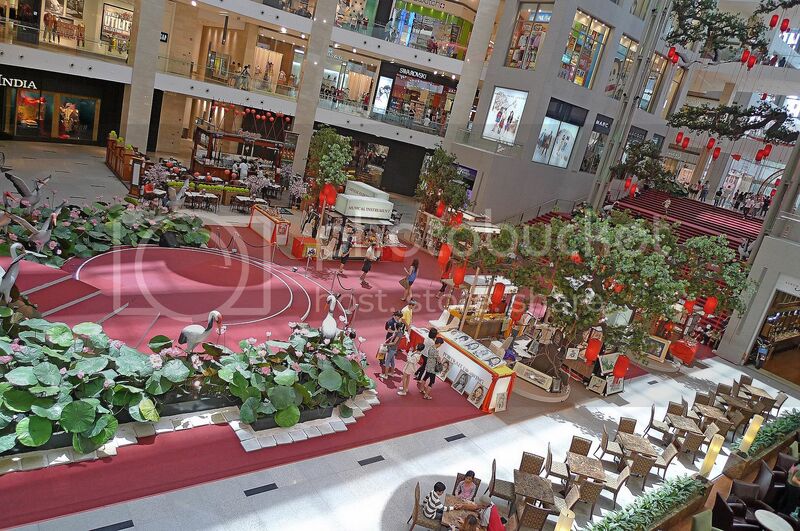 If Mid Valley was bad, then the next door Gardens Mall was much worse! What the crap is that? And I hate those paper or plastic cuttings dangling from the ceiling! Definitely did not the suit this prestigious looking mall! Next, I went to Pavilion. 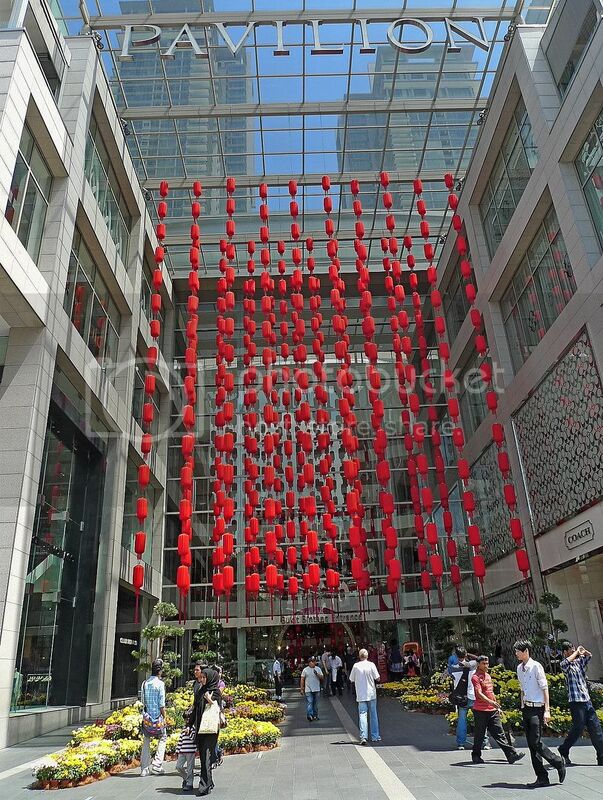 Lots of red lanterns welcome visitors at the entrance of the mall. The photo above is from outside looking in, photo below is from inside looking out. 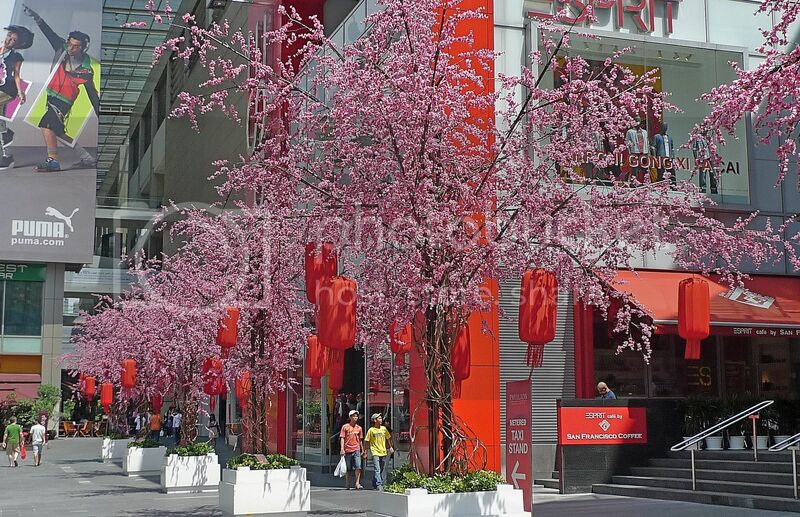 Pink colour trees lined the street outside the mall. I saw this rickshaw and quickly snapped a photo of it! 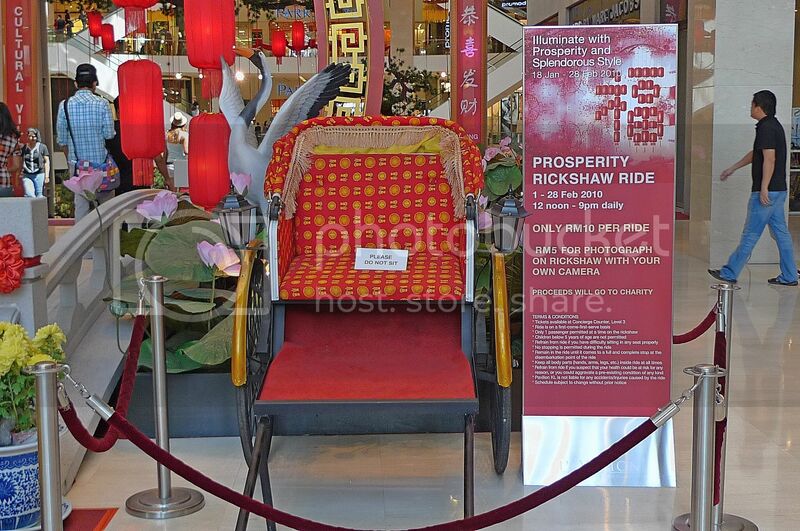 It seemed that Pavilion was having a Prosperity Rickshaw Ride for RM10 per ride. 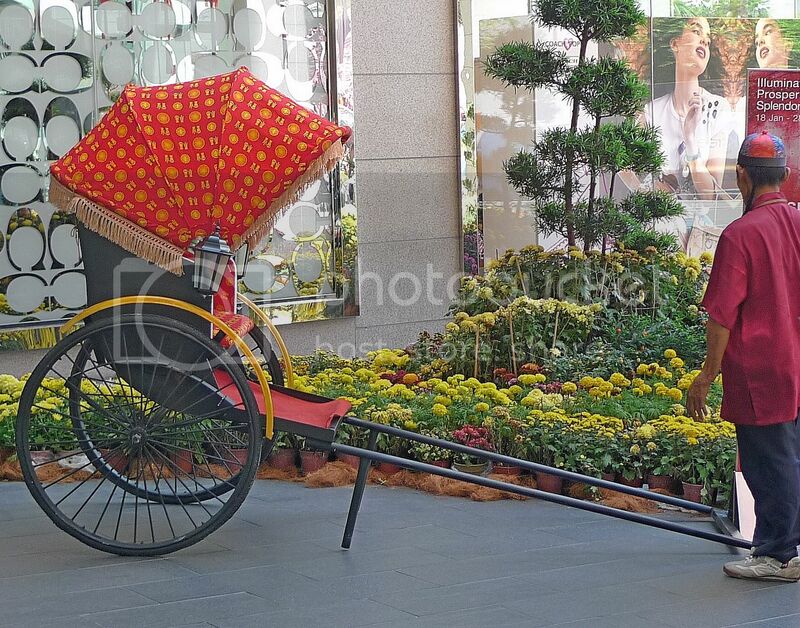 I am sure tourists would love to sit on that rickshaw! 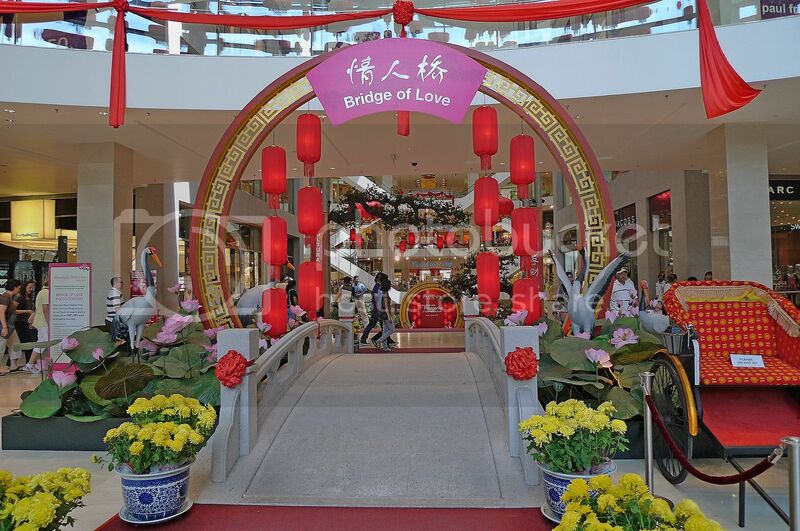 Inside Pavilion, a Bridge of Love greeted me. I wondered if this was done in conjunction with Valentine's Day. The Bridge Of Love from a different angle. There's a crane at the other side of the bridge. 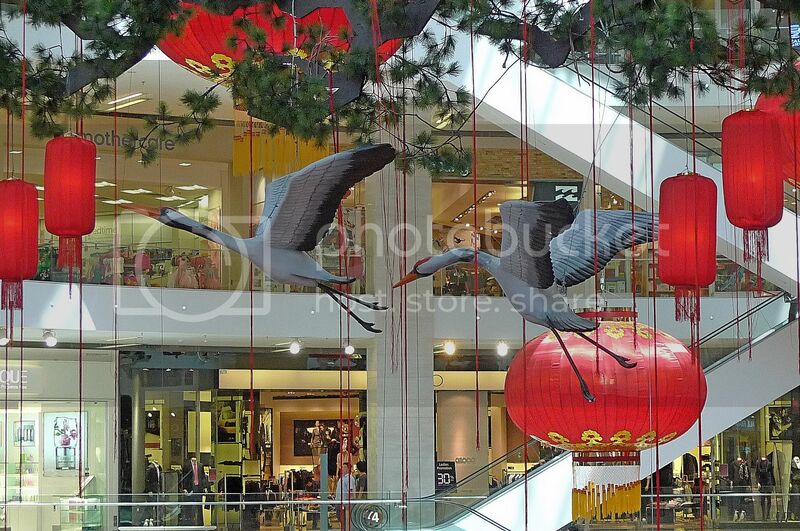 Entering the main atrium, I saw more cranes! 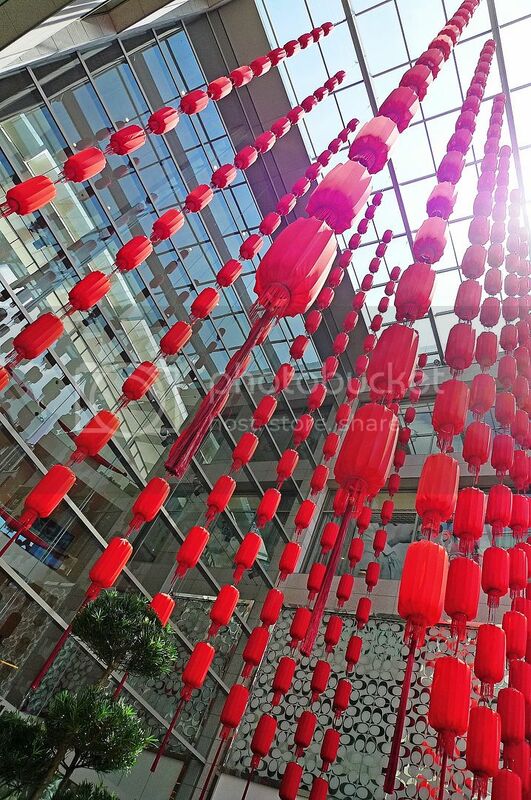 And huge gigantic red lanterns hanging from the ceiling! 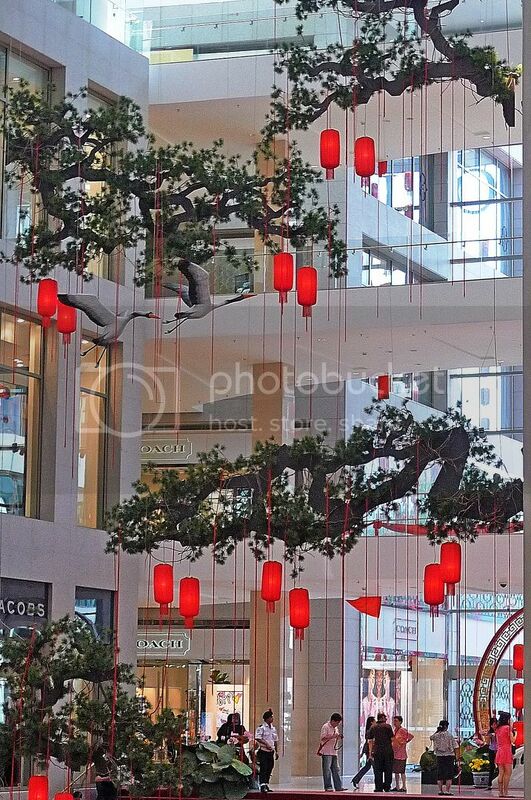 What attracted my attention was not the huge lanterns, but the picturesque scene of cranes flying below the beautifully shaped trees typically found in China's landscape. Don't you just love those cranes and trees? Reminds me of old Chinese paintings! 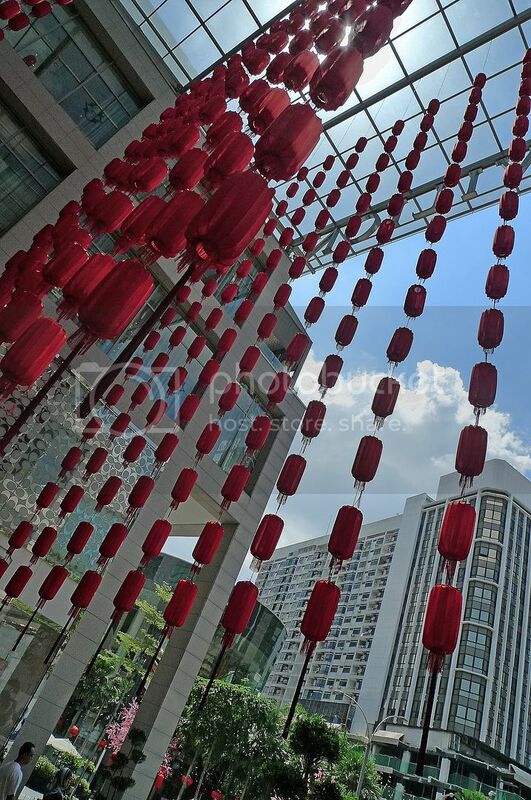 I think I'm giving Pavilion two thumbs up for their Chinese New Year decoration! 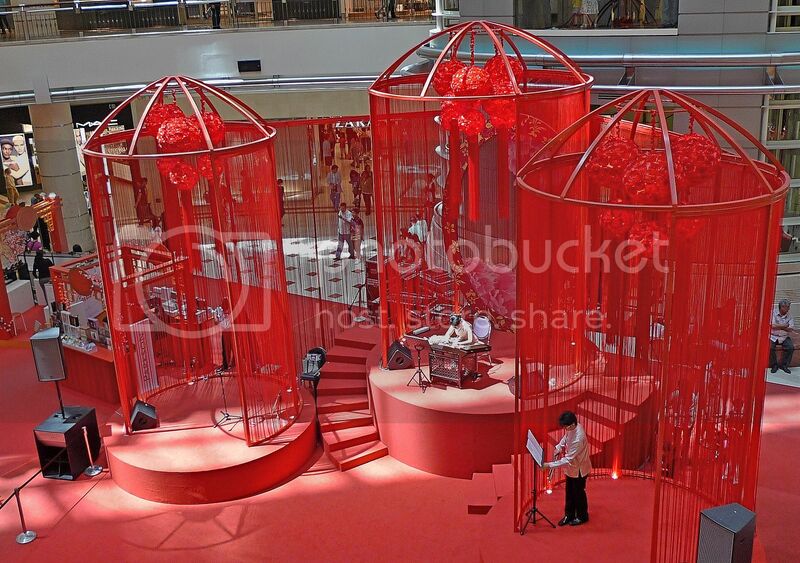 When I went to Suria KLCC to see if they could top Pavilion, I was disappointed! Take a look. I thought those small red lanterns hanging from the ceiling looked kind of empty and uninteresting. On the ground, things were looking pretty boring. There was a girl performing a song on a musical intrument. 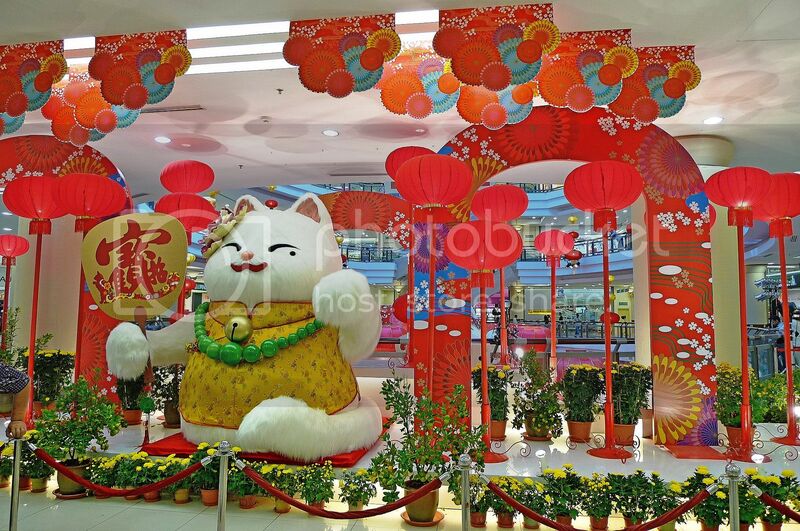 I was certainly not impressed with KLCC's Chinese New Year decoration this year. Last stop - The Curve. 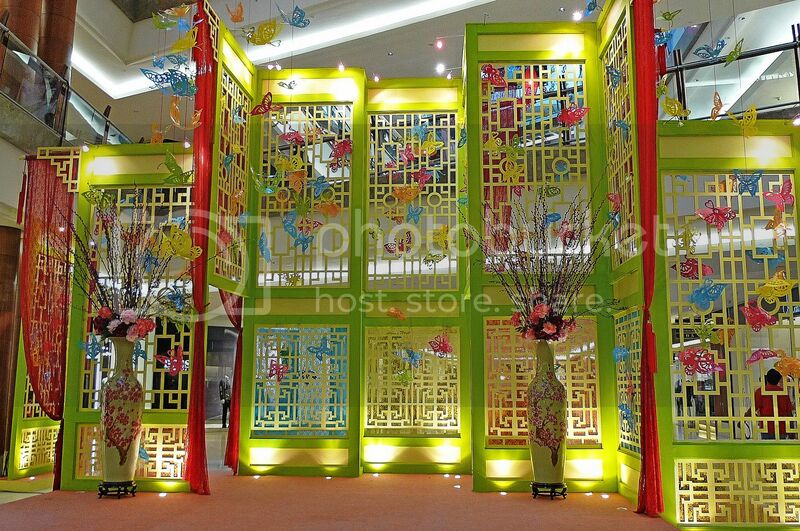 Oh, I love the designs especially the wall which is typical of old Chinese architecture. Besides, the curvature of the wall fits in nicely with the name of this mall! 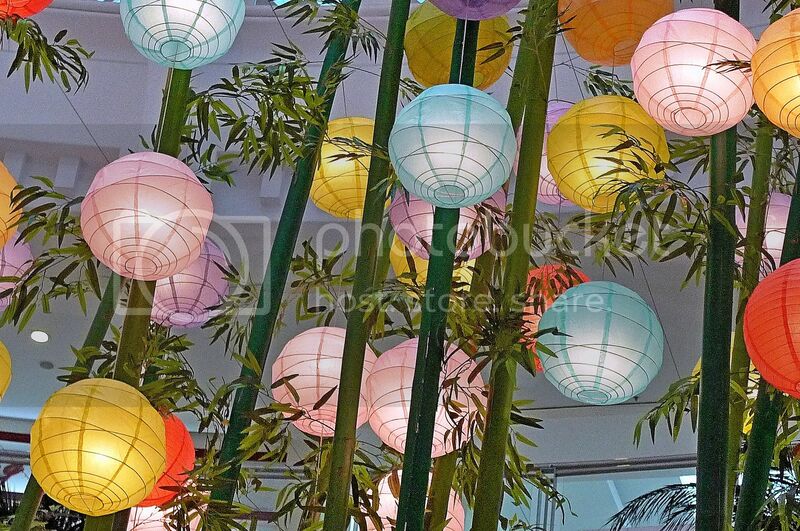 And I like the many colourful lantern balls hanging from bamboo trees! Beautiful! I was mesmerized with these lanterns! This is the main stage in the middle of the hall. Snapped a photo of the lanterns looking up from below the tall bamboo trees. 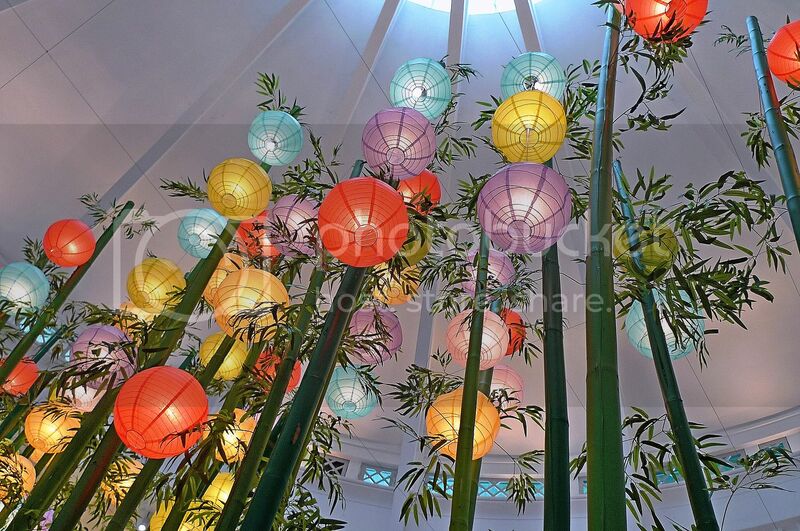 I was amazed at the many bamboo trees with colourful lanterns hanging covering the whole place! I was impressed! The Curve did not disappoint! It was a pity I did not have time to cover other malls like Sunway Pyramid, Berjaya Times Square, Bangsar Village and many more. 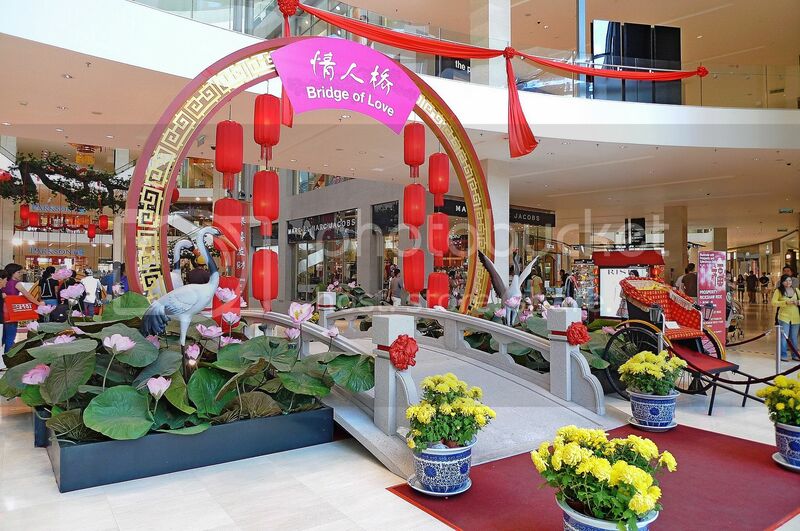 So which shopping mall do you think have the best Chinese New Year decoration this year? Yeah! Today is indeed the second day of CNY. War...you went to 6 shopping malls to take photos? Goodness. 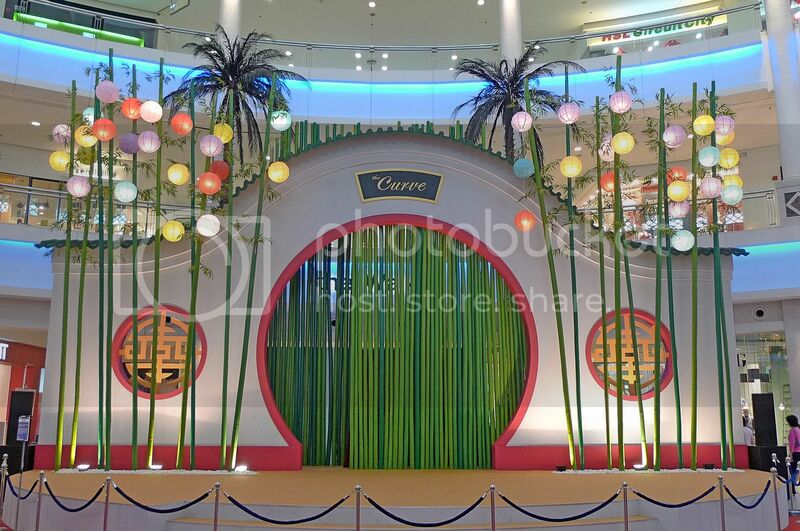 Haha :D The deco in 1Utama is rather cute huh!I saw in TV the other day. Those moles? Perhaps it has something to do with luck and fortune? Perhaps you can ask someone who is good in face reading to help you? So you mean the dragonflies are "lebih" lar? I believe the deco in MV is pretty. 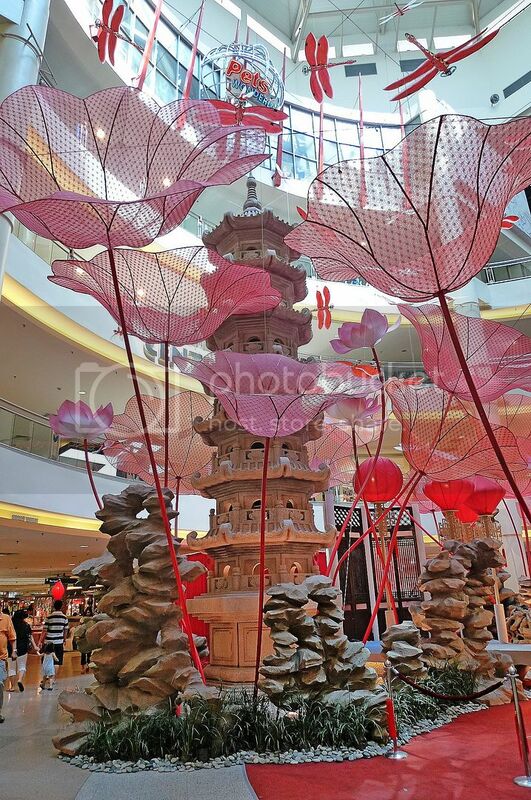 The pagoda and the lotus leaves. :p They look so gorgeous. Hahaha :D I thought the Garden's deco is so damn freaking lousy. As if it is a last minute deco. :p Why? No money? it certainly looks like a competition.. ipoh has nothing.. i think 1utama is the best! RM10 per ride? Why not? RM10 only mah.Besides that trishaw seems very comfy o.
Yeah...with trees...lanterns...cranes...aw...whata beutiful sight. I love the trees especially. :)This is in Pavillion? Haha :D War...I had left more than 10 comments already? Goodness. I'd better stop spamming your blog bro. each and everyone of them is unique. love all of them. I like the decor in MidValley. The giant pink and red flowers are unique. I photographed the beautiful dragonflies but noticed some of those decorative insects have 'sleepy' or half opened eyes! I am not sure if I want to post those photos on my blog yet. Wait till you see them up close...haha. I would love to be somewhere that celebrated Chinese New Year! These pics are so fun and my daughters love the cats! Happy Valentines Foongpc!! Foongpc Kudos kudos kudos! 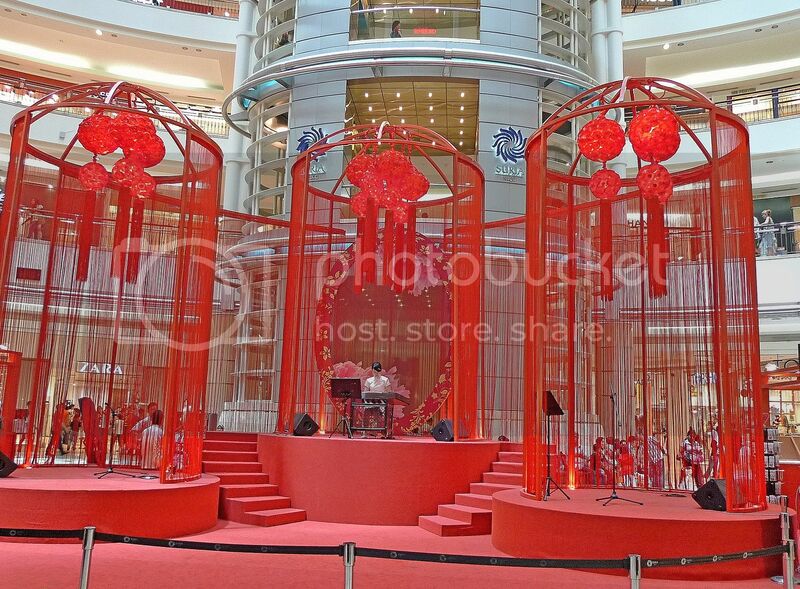 You have done it well in sharing the deco during last Xmas and here you go again for CNY. Thanks so much. Wowie! I love big red lanterns in Pavilion they're nice. 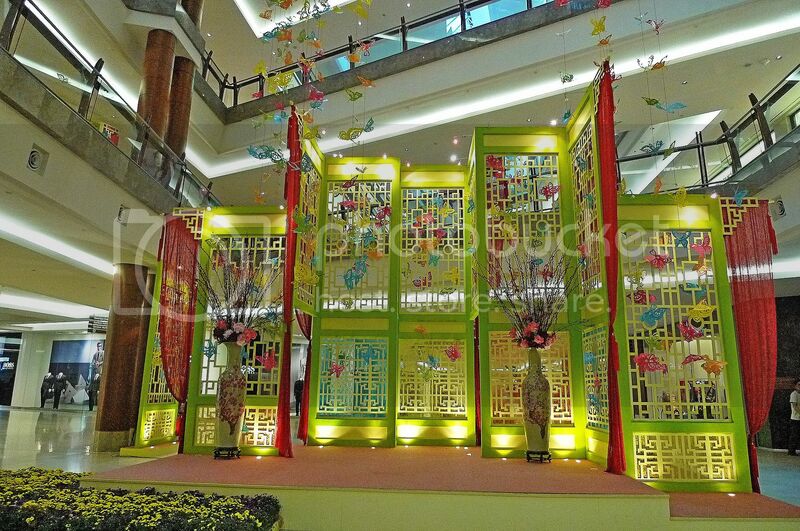 Oh the moon gate, bamboos and the colorful lanterns in The Curve lagi nice. Thanks once again. Cool! 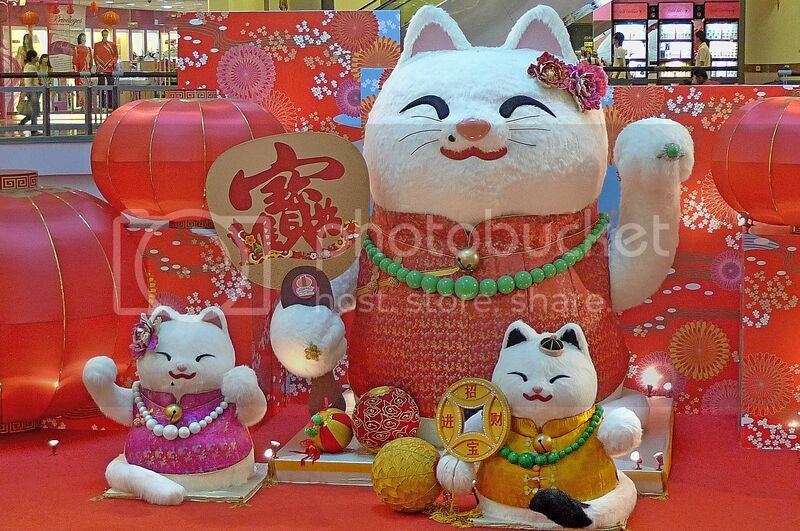 You snap a lot of cny decoration ..
Whoa sure you left the best at the last. Love to see lots of big lanterns. Thanks for all the great effort. Wow snapped the photos inside out and outside in, some more under upper and topper down, whoaaa like a real pro man..Thumbs up! Prosperity Ride eh! Should offer the punters a ride to the nearest gaming outlet and charge RM20 with the caption "Millionaire On The Way". Any takers? haha. Oh new year new header eh..! I like all of the malls' decorations. The landscape and crane does stand out to be the best though. Guess it's cos I love chinese landscape paintings myself too. 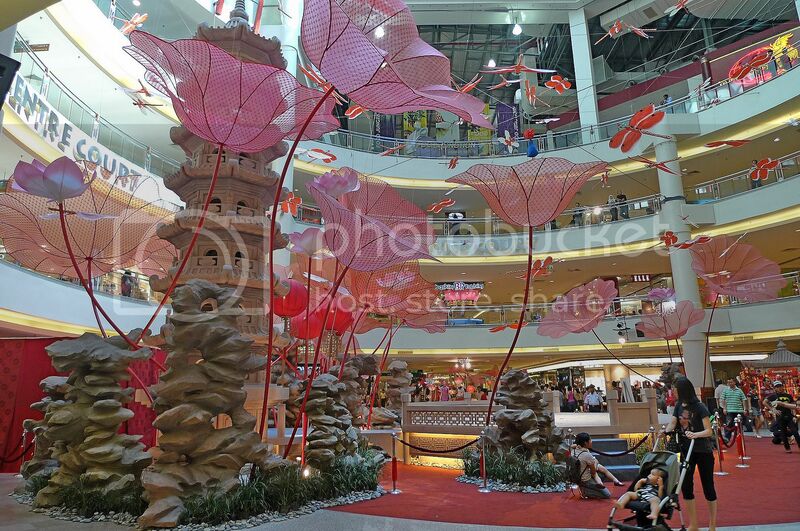 We don't have anything in our malls :( Not even a sound of firecrackers burned on New Year's day. How sucky is that? If we did burn, the cops would be at our doorstep in a blink of an eye. tekkaus, congrats! You are FC after such a long time! Must be the good luck coming to you after you activated that god of wealth that early morning! Haha! nick phillips, thanks! I want to roar like a Tiger! Haha! bananaz, you are welcome! So the moles signifies "cari makan senang"? Does this apply to humans too? I remember Joey Yap said all moles on human faces are not good except for a selected few. So which is your favourite decor? cheahs@n, thanks! Not a pro, just an amateur, haha! borneo falcon, oh! Really? Good, lucky I didn't visit Sunway Pyramid and Berjaya Times Square! I remember Sunway Pyramid had really horrible Xmas decor last December! cheahs@n, thanks! It's CNY so must have new look! Haha! rose belle, yeah I love that crane against those chinese trees - very beautiful! What a pity you can't enjoy firecrackers at your place! Maybe you should consider visiting Malaysia during CNY! Haha! Wah! You really went gallivanting around town snapping photos. So cool! 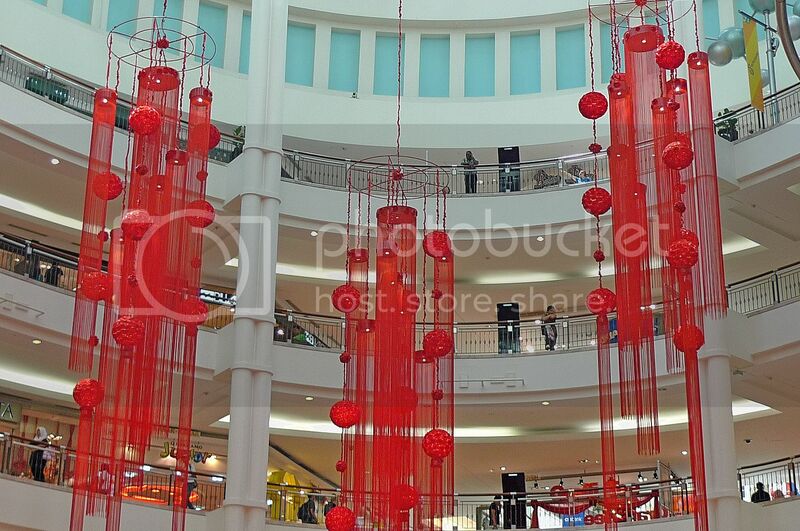 I agree on MidValley decorations. Ever since the team split (and many of them moved to Pavillion) it wasn't as nice as before. 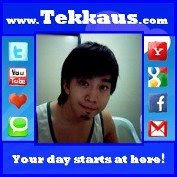 Haven't been to any malls recently, so I enjoyed looking at your photos. 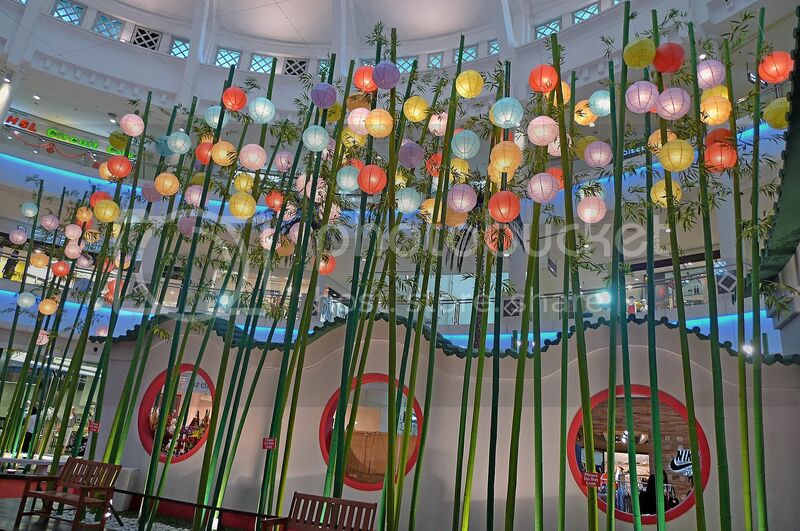 I like the decoration at Sunway Pyramid too. I like the new layout. very nifty! Happy CNY! Gong Xi Gong Xi! Congratulations on all the nice pics too! It gets bigger and better each year! wow, new layout!! looks nice and neat, i love that!! yeah, i think the PAWSPERITY theme at 1U is doing good.. so creative with those prosperity cats wearing glamorous clothes and jewelleries..
and yeah, you did noticed the moles on their faces huh?? i don't know how to describe the moles in english, but they each have a name in chinese..
oh, i love the decoration in pavilion.. so classy and so full of CNY feel!! 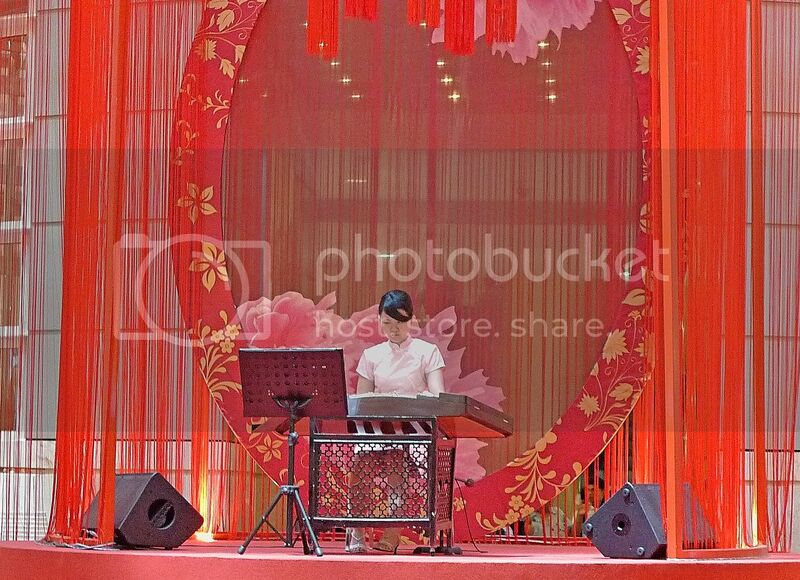 the strings of red lantern, the whole stretch of plum blossom, and that huge area of fresh flowers.. just so cool!! 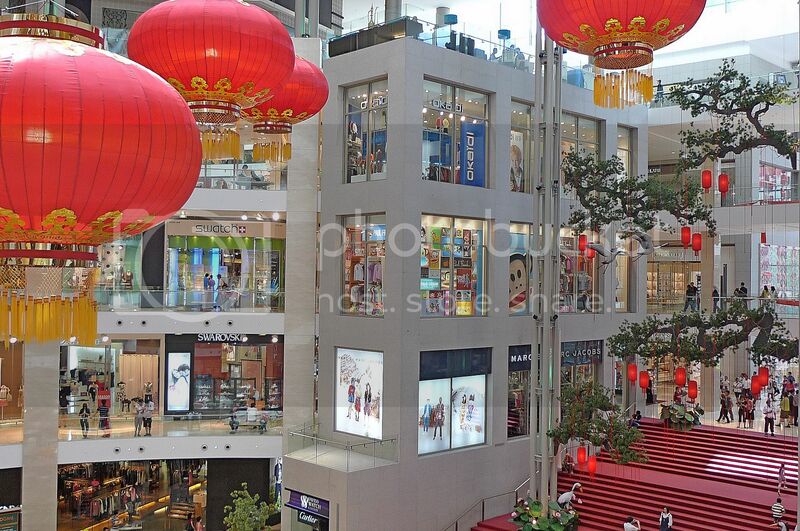 these three elements really make pavilion looks grand lor.. i'll think they are the best amongst all malls!! midvalley.. hmmm, i was a bit disappointed with the deco this year round.. nothing special..
for the consecutive previous years, i think MV has done great jobs in their decorations.. but this year that lotus theme just isn't my cup of tea..
the colors are not striking enough and is like lacking of something.. anyway, the acrobat perfomance is cool!!! KLCC is a total disappointment of all!! so simple and i can say not sincere at all..
just a few dangling lanterns (or just balls) and that's it.. haiz!! 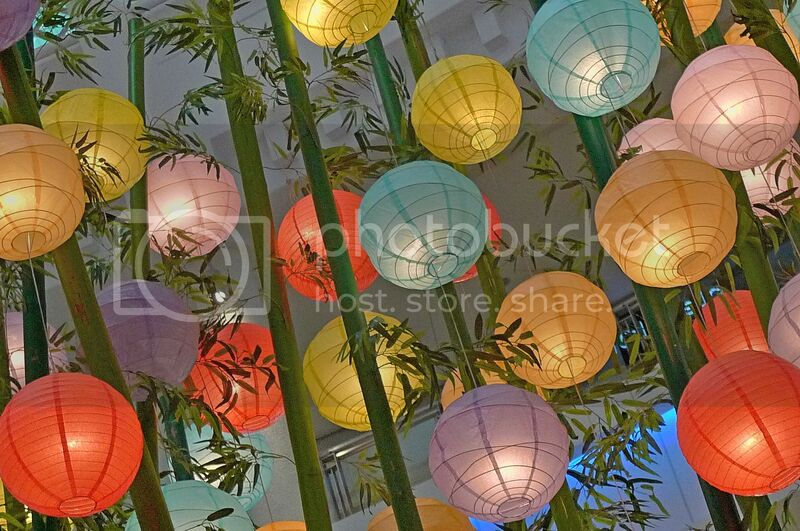 i don't like..
have not been to the curve, but from your photo i think it's quite nice also..
the colorful lanterns on the bamboo trees!! they look magnificent..
From yr photos, I think perhaps the Curve could be quite nice! 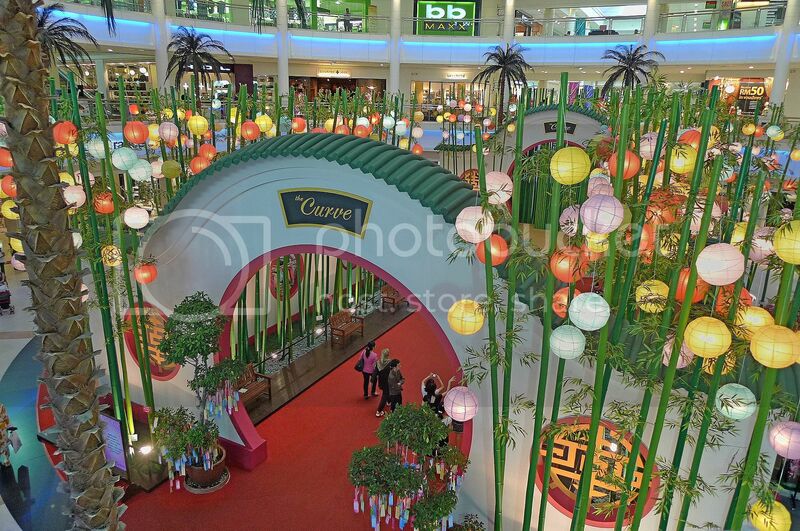 Tis year, I've only been to Mid-Valley and Gardens! i only saw mid-valley's one..... great coverage u've done on all the malls for comparison!! O yes very nice decoration for new year 2010 for chinese. the pj malls seem to do better! 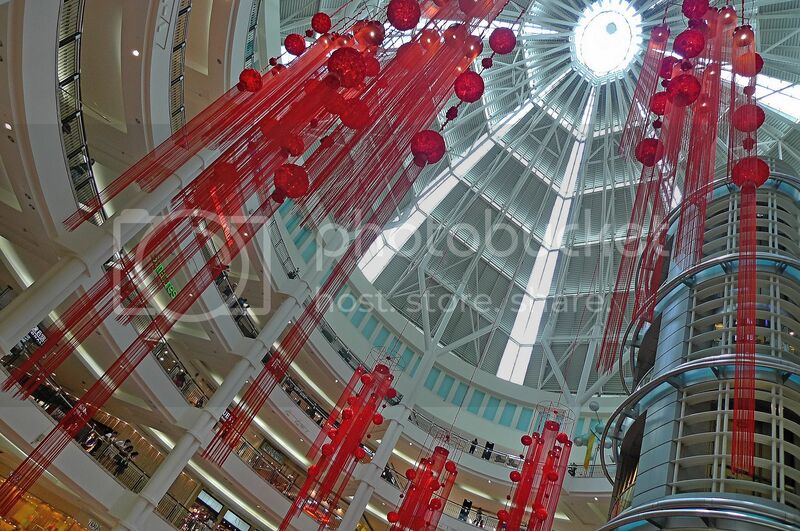 btw would sg wang plaza be a good place for cny deco? wow...really lots of pixs here to share and i gotta wait a while to download. 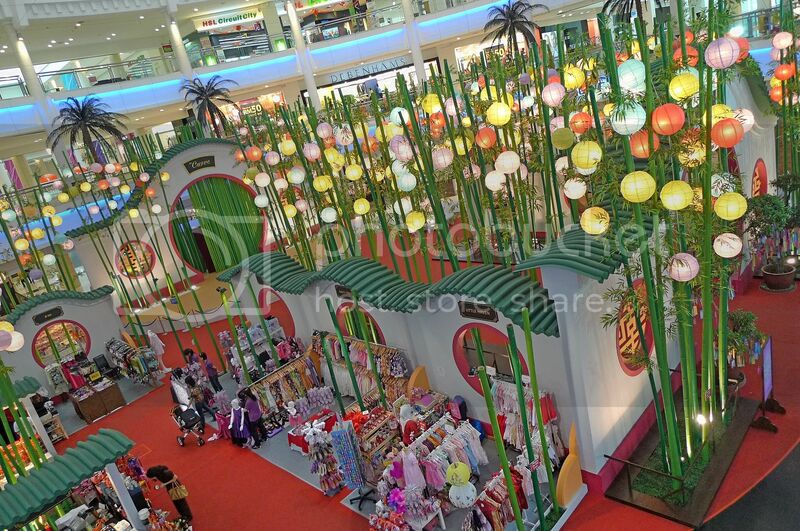 Compare to malls in JB and Ipoh, the decors here are so much better! 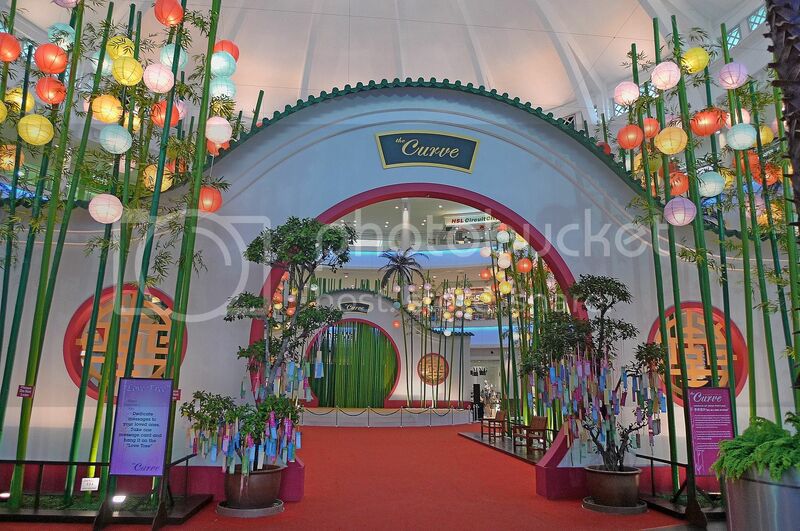 I like decorations in The Curve the most! All the others are just red, red and red! Not creative at all! Those are cats to attract prosperity! I read that these cats originate from Japan. Waving right hand signifying it is a male and usually put at home to attract wealth. Waving left hand signifying it is a female and usually used to attract business and customers. Have no idea about the mole! New blog layout! Much brighter than previous one, but do you notice it loads slower? lina, haha, yes went gallivanting round town! Oh really? The Mid Valley team split up and some moved over to Pavilion? That explains it then! My CNY was great! V-Day? I was having CNY dinner on V-Day. Haha! molly, thanks! I have not been to Sunway Pyramid. Is it really nice? OK, next time we meet up, you explain to me all about the moles! Haha. 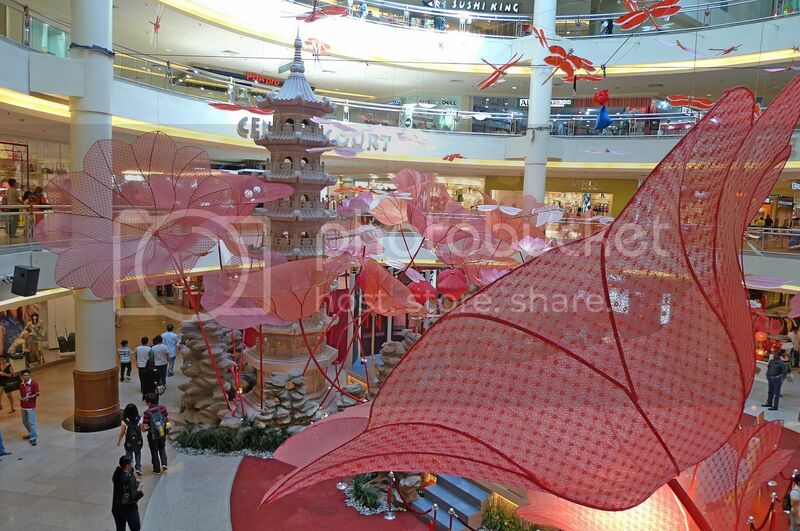 So you really like Pavilion's CNY decor, don't you? Haha. And I have to agree with you on Mid Valley - it was pretty lousy right? KLCC not sincere at all? Wow! That's a strong statement! LOL! quachee, Yeah, I agree this time, PJ malls did better than KL malls with the exception of Pavilion. jam,thanks for the info on the waving han! But why do you put a male cat in the house and female cat in retail shops? merryn, a lot of people seem to like 1U, if it's tigers instead of cats, maybe I'll like it more, haha! It is believed that Chinese dragon boat is carrying good luck, wealth and prosperity. 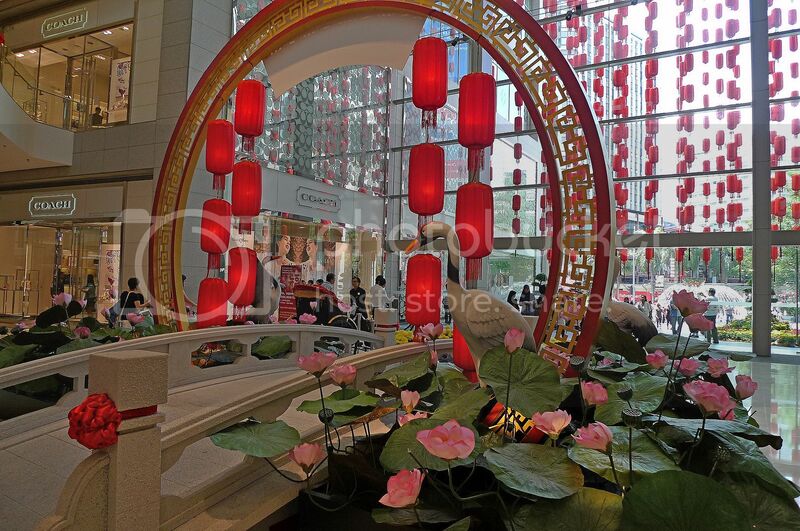 The Chinese like to display it at home on Chinese New Year to have a prosperous year. 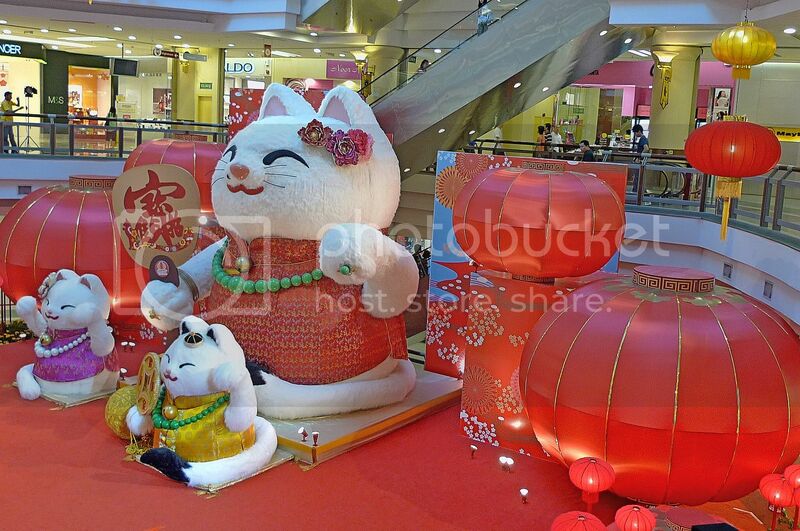 Nice decorations.Happy Chinese New Year.Every decoration is unique and I love all of them.Good posting. I think its gonna be Earth Ox year color yellow, this means everyone will need to work a little bit harder to achieve something. I've read somewhere. 2008 the year of rat made us ran like rats and 2009 is the bull or ox year and we still want a bull run but hopefully not a hectic run.